If you have dedicated software, desktop computers, laptops, tablets, or even smartphones, you should have a good asset management system so that each of these digital assets can be operated, upgraded, and even disposed of in the most cost-effective manner. 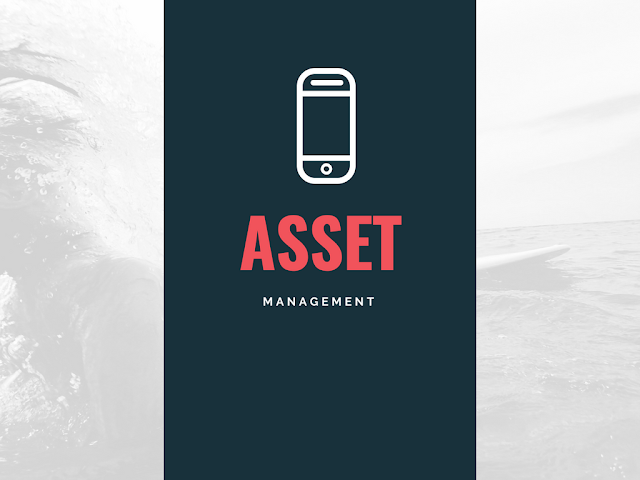 In your business, this is managed by your IT organization; enterprise asset management typically falls under the ITAM label, which stands for IT Asset Management. There's no way around it: this is just a basic need for any organization because out-of-date or non-functioning software or computers can cause an organization no end of trouble. This is why a good software for this is important; one will let you know where your assets are physically and digitally located, will allow assets to be managed remotely, and will increase your organization's efficiency because your assets will be up-to-date. Having considered this, what are the best features to seek out in a good asset management software solution? In this guide, we're going to take a look at some of the best features to seek out in a dedicated ITAM software package. ● Streamlined Reporting – At the end of the day, it's always a good thing to have a visualized impression of just how well your system is running on a daily, weekly, or monthly basis. A good software solution for asset management will have the ability to compile data from your assets in such ways that you can use the reports to elicit adjustments that can streamline your operations. ● Are some of your assets not working with the most up-to-date patch of a specific software package? A report can display this information so that you can make the required changes. ● Visualization – While reports can help, a good ITAM solution will allow you to visualize just about all of your assets in real time. Optimally, a good data visualization software will allow you to get a good graphical representation of the various assets connected to your network. If there is room for an upgrade or a particular device needs attention, a data visualization solution will alert your team of IT professionals so that any improvements that need to be made can be made efficiently. ● Software Updatability – Patching is one of the most crucial aspects of a good ITAM solution. In recent times, major corporations have been hacked as a result of poor patching, and millions of customers have paid the price, which is why you should always consider a software solution that's very updatable so that you can keep up with the various patch cycles that happen over the course of a year. Remember, patching is one of the surest ways to shore up software vulnerabilities, and if you opt to use a system that doesn't update easily, you could be asking for trouble. Ideally, your system should have patch management abilities so that you can update your computers on a company-wide basis. ● Software Usage Tracking – What software packages are your users utilizing on a daily basis? Software usage tracking makes it easy to determine which programs are being utilized by your employees so that you can make decisions whether or not to purchase additional licenses, renew existing licenses, or cease to use a particularly unused software entirely. With a feature like this, you can even decide whether to deploy specific software packages to certain employees, which can help you bring down costs significantly. ● Cloud Hosting – The cloud isn't going anywhere, and organizations around the world are only increasing their use of cloud-based apps. Cloud asset management (CAM) is also becoming increasingly popular, which is why cloud-friendliness is a good feature to look for in your asset management solutions. A good CAM solution will provide all of the features of a traditional ITAM solution, but it won't be limited to the machines that are specifically on a dedicated physical server. Instead, an asset management system with CAM functionality should be able to provide the same features that you'd expect to find on a traditional asset management solution. ● Conveniently Designed User Interface – While your IT team may be very professional and adaptive, having a lousy user interface on your asset management software can add needless inefficiency to your overall process. For this reason, the interface for your software absolutely needs to be easily readable so that your team can address issues, initiate patches, and verify the proper operation of your IT superstructure. ● Remote Control – Any software solution for your asset management absolutely must also take into consideration the busy schedules of your IT team. For this reason, a system that incorporates remote control is absolutely crucial. Remote control allows your team to track the system's assets, even when they aren't near a dedicated computer at the help desk. Optimally, this should be able to be done on any computer with a browser, but in many cases, the software provides access using portable devices as well. ● Asset Monitoring – When something changes, you'll want to know so that your team can react appropriately. For this reason, asset monitoring is a feature that can be very useful in just about any organization. This can help you track changes at the processor-level, track when a software has a new patch, or even track when memory usage on a machine spikes. A good asset management system is going to help you run your organization more efficiently, but it's also going to depend on your team's ability to customize the system to run best for your organization's particular needs. Fortunately, there are a few great options out there on the market that can ensure excellent asset management for your organization. While there are things you'll need to know before you start, once you have a good system running, your business will benefit greatly.